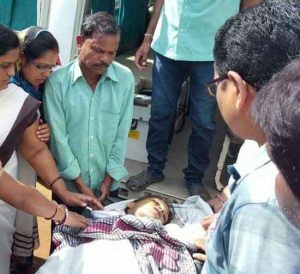 The suicide case of a nursing student took a new turn when her last SMS sent to Facebook friend came to light at Dhamtari in Chhattisgarh state of India. After tightening noose (Phansi ka phanda) around her neck and just before the extreme step, has send last SMS to her boyfriend that “You did not come, now I am dying”. Student of DCH Nursing College had committed suicide on Saturday afternoon. Family members had alleged that she committed suicide since college management was harassing her. But now the SMS has given a new angle to the suicide. Police now believe that case is related to failure in love affair. Police making efforts to locate the name and address of the youth to who the girl had sent SMS just before committing suicide.